Between 2010 and 2012, employment in California and San Joaquin Valley agriculture increased by five and seven percent, respectively. Employment expanded much more for FLCs, up seven percent statewide and almost 10 percent in the San Joaquin Valley, than for directly hired crop workers. 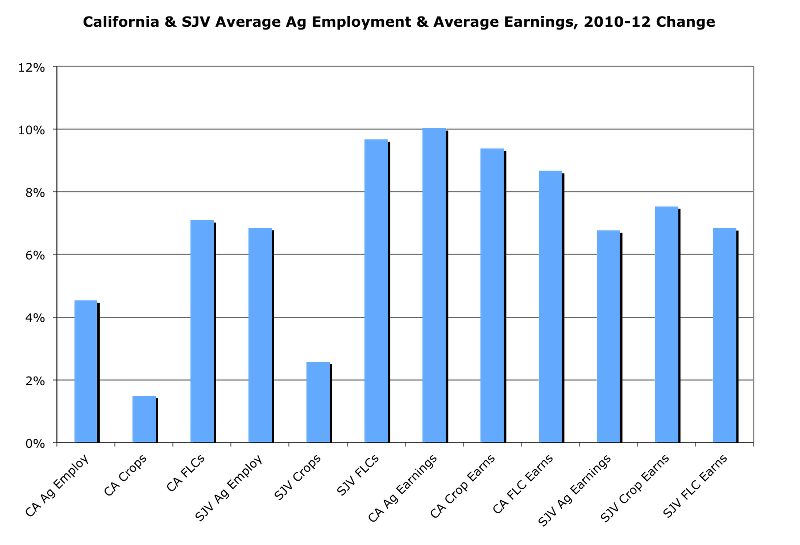 Average hourly earnings rose more statewide between 2010 and 2012, up 10 percent, than in the San Joaquin Valley, up seven percent, and FLC earnings rose less than earnings for workers hired directly by farmers.